Everyone these days is on a budget which means DIY is the way to go for your wedding. Yes, this means a little more work on your part but with a few friends or family to help you these projects will be a breeze. Trust me, my family helped put together and entire DIY wedding in a week and it turned out beautiful! A perfect wedding does not mean a price tag that breaks the bank.Talk about stress, even after being stressed planning the wedding you will be stressed looking at those bills for months to come afterwards. Ouch. 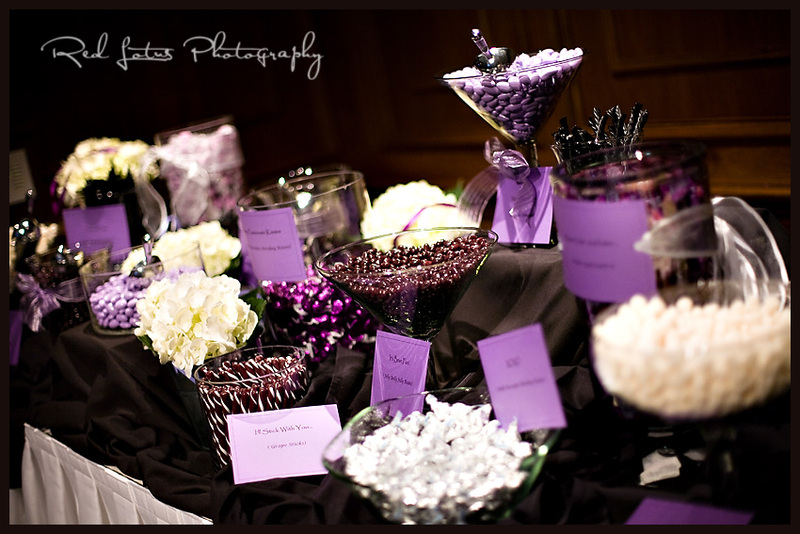 Candy Bar: I’m absolutely in love with this! It makes wedding favors so easy and truthfully a let less expensive. Buying wedding favors for everyone can get kinda pricey especially if you want those favors to have your names and wedding date on them. Buy little paper baskets with the personalization on it and then get a candy bar and let people fill them. That way you get the best of both worlds. Candy bars are easy, you buy in bulk, and you buy candy in colors that match your wedding palette, and put them in clear glass or plastic jars, maybe add some colored ribbon or if you know someone who is artistic have them paint some designs on them and BAM your done! 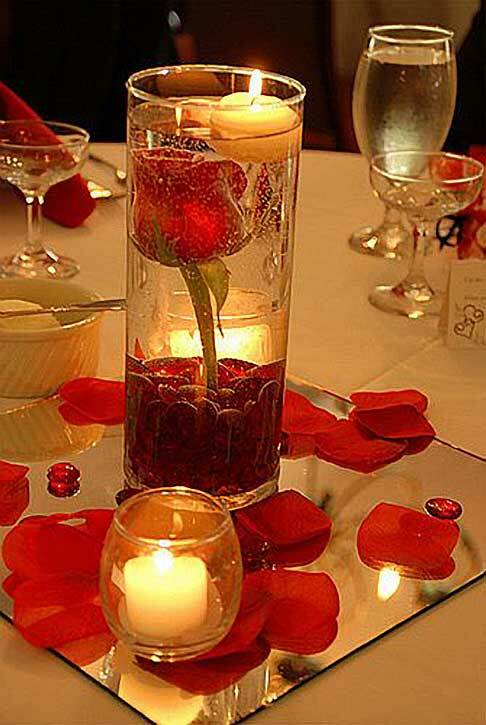 Centerpieces: If you are having a spring or summer wedding then saving money will be easy for you. Pick your own flowers and create centerpieces yourself. Flower arrangements are easier then they look and you can find step by step videos on the internet. Again, it will take a little time on your part but it’s worth the money you save it the end. If that doesn’t sound like something you are up to doing then choose your flower wisely. Choosing a flower like a Calla lily can save you a lot of money because it is such a big and bold flower that you only need one or two for a beautiful elegant look. When it comes to the vases, go plastic. People won’t notice unless they knock one off the table. Dress the vases up with glass marbles at the bottom or ribbon around the outside. Paint the vases if you want. I saw this beautiful way to paint vases with spray paint and rubber bands, then you add a candle inside and put three different sized vases in the middle of the table, just like that, a centerpiece. Mirrors added underneath things can make a big difference to the way something looks and can give it a softer imagine. 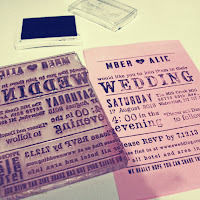 Personalization: I know this is a big must for a lot of brides. Unfortunately personalizing things, anything, can almost double the original price. 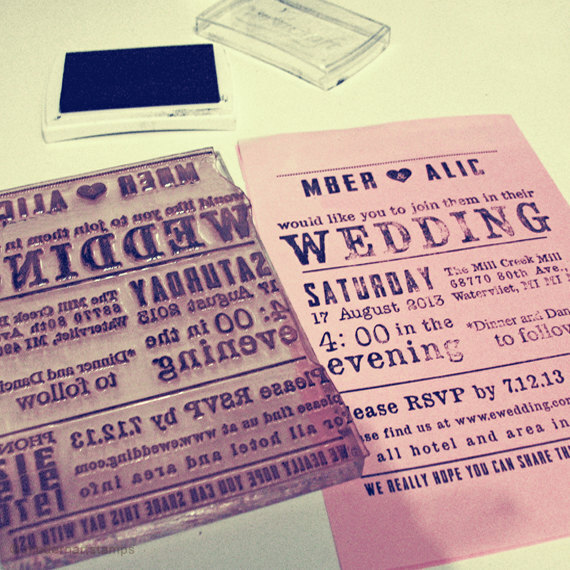 Instead, look into getting a personalized wedding stamp. No Joke. You can use this on pretty much anything. You can use it on those decorate boxes for you candy bar,on the vases,on napkins and tablecloths,on DIY wedding invitations, on thank-you cards, on your guests if you honestly feel like it. This stamp may be a little more up front then you were ever thinking of spending on a stamp but in the end is saves you so so much money especially if you are looking into a mostly DIY wedding. They range from 15-100 dollars depending on where you order them from and how detailed they are. I also enjoy this stamp because you can continue to use it after your wedding. You could make coffee cups and plates by simply using paint you can cook onto the dishes. Dip your stamp in and away you go. Ribbon Flowers: These are probably the coolest things I have ever seen in my life. Let’s be honest, roses are the most wanted flowers for your bouquet and one of the most expensive. You can create flowers out of ribbons that look exactly like roses. You may need to do a few practice flowers to get it right but it will save you money in the end. However, if you talk to any bride who has done this she will tell you this was the most time consuming project to take on. The good part is that you can start this as early as you like because they won’t wilt. A little at a time will help so it doesn’t feel too over whelming. You can use these ribbon flowers for pretty much anything. You can use them for head pieces for the bridesmaids or flower girl. You can use them in little pots to mark family seats at the wedding. You can use them as centerpieces. You can use them as decorations cascading up the isle hanging from chairs. Your options are pretty much endless. Truthfully, I feel this is the most complicated part of getting ready for the wedding as a bride. You constantly see brides stressing out about wearing too much or too little makeup. Bridal makeup these days is very similar to red carpet makeup in the sense they have to look good in HD video cameras, professional cameras, and people’s personal cell phones. Not such an easy task when your not even sure how to do makeup, which is why I suggest you leave it up to the professionals. The best part, just like with your hair, you can have a practice makeup trial so you can try out different styles and see which one you prefer the most. It’s actually better to do it before the day of the wedding because brides are a lot more relaxed and it’s easier for them to make a unstressed, not rushed, not pressured decision. Wedding day makeup is a must for every bride, even those who normally don’t touch the stuff, you will be photographer all day long and you want to make sure you look the best in every shot. Prepping Your Face: Start your skincare plan at least six months before your wedding day to make sure your skin is looking its best. You don’t want to wait until the month of your wedding to start using new products because you could develop an allergic reaction to some products which could take up to two months to clear, or it could take a while for the skin care products to start working. On the morning of your wedding skip toners, lotions, or any other products that will get between your face and your makeup. You want your makeup to adhere the closest it can to your skin that way when you start sweating or crying it adhered better and will run less. However, do wash your face the morning of the wedding, that will get rid of all the dirt and oil you have accumulated over night. *Stay away from glitter!! You remember those photos we have been talking about over and over? Well glitter is going to catch the light, or a flash, and give a horrible glare in your photos. *Don’t go without foundation, I know your looking for more of a natural look but you can still have that with foundation and it will give you that even coverage you want in your photos. *Don’t wear a bright red lipstick without a lip stain. It’s a beautiful color especially for weddings but you are going to want it to last through all the kissing, the cake eating, and the champagne sipping. *Don’t match your lipstick or eyeshadow to your wedding colors, its completely unnecessary and outdated. *Don’t over use your bronzer, again this is why it’s better to have someone else do your makeup, bronzer is meant to contouring and give a sun kissed look. It is not meant to be worn all over your face. *Don’t let that stubborn bridesmaid go without! You don’t want those pictures to be perfect which means everyone, and I mean everyone, has makeup on. Period. *Don’t do smokey eyes like you are going to a club, it will make your eyes look smaller and it’s a bit much to be honest, unless you are getting married in a night club, in that case have at it by all means. *Don’t try to use every color of the rainbow. You wanna do that on a daily basis. by all means go ahead I love seeing makeup like that but tone it down a bit for the wedding. *Don’t stray from yourself. To look beautiful you need to feel beautiful, if you don’t look in the mirror and go wow then change it. Makeup Tips: You should be letting a professional do this but that doesn’t mean you don’t need these tips or have a say in what is put on your face. *Consider Eyelash Extensions. Talk about putting some va va voom into those photos. 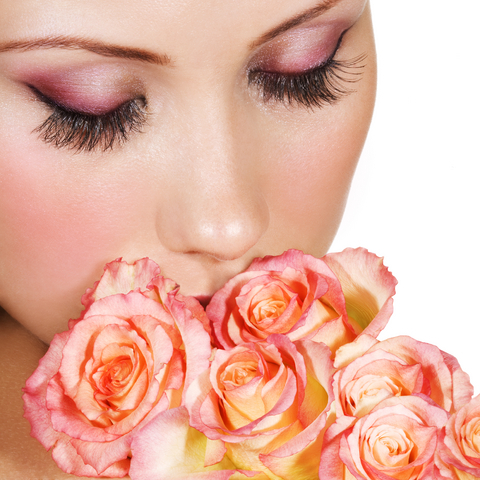 These days they have very natural looking eyelashes that will blend with your natural eyelashes. (I wear them almost everyday and no one ever notices they aren’t mine) This will also make it so you don’t have to worry about mascara running when you cry. *Know the makeup. You will want to make sure your makeup is a long lasting makeup. Especially your eye liner. This is simple to do, just find out what line your makeup artist will be using, ask questions, and look it up online. *Just because I said don’t match your makeup to your wedding colors doesn’t mean you can’t pull the tones from your wedding to use on your eyes. Tones and actual colors are two very very different things. *Make sure you have emergency makeup. I would suggest purchasing whatever lip gloss your makeup artist uses. That way you can touch up right before photos or after you share that first wedding kiss. *Bring a camera with you. Take photos inside and out after your makeup is done. You will notice a dramatic difference. Keep this in mind if you are having an outdoor wedding. Different light means a different look, make sure you like the way it looks in all light. Besides my dress and hair I feel this is will be one of my favorite parts to preparing for the wedding. You can do so many things with your nails that is just makes this process so much fun. Make sure you get a pedicure as well that way your feet match. There are just so so many options to choose from which is why I am writing this blog to help narrow things down. This is why I suggest you do this the day before the wedding, you don’t want to mess up your nails and depending on how complicated you go with your nails it may be hard to keep them looking nice. The Polish: Remember a few post ago when I said when you get engaged your hand is going to be the center of attention?? Well the same goes for after you get married which is why you will want a nail polish that not only lasts for the day of the wedding but lasts for days after. For this, I am going to suggest a gel polish. Gel polish will not chip and has a beautiful shine to it, almost giving you the look of having acrylic nails. The other benefit to gel is that it’s thick so it gives your nails some strength. and if your someone like me and you don’t take it easy on your hands this is a pretty big benefit. 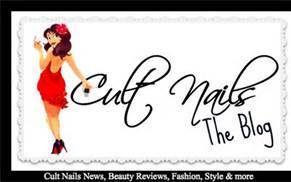 Gel polish should last about 7-14 days and the polish grows out with your nails so it’s easy to tell when you need more. Also, removing the polish is as easy as removing a plain Jane polish. If you want something done to your nails that can’t be done with gel polish I would still suggest getting the top layer in gel. This will give the regular polish luster and make it last a little longer then it normally would. Acrylics: A lot of brides will opt to get acrylics for their wedding day which is completely fine but I wouldn’t recommend it. If you already have acrylics nail then go wild. 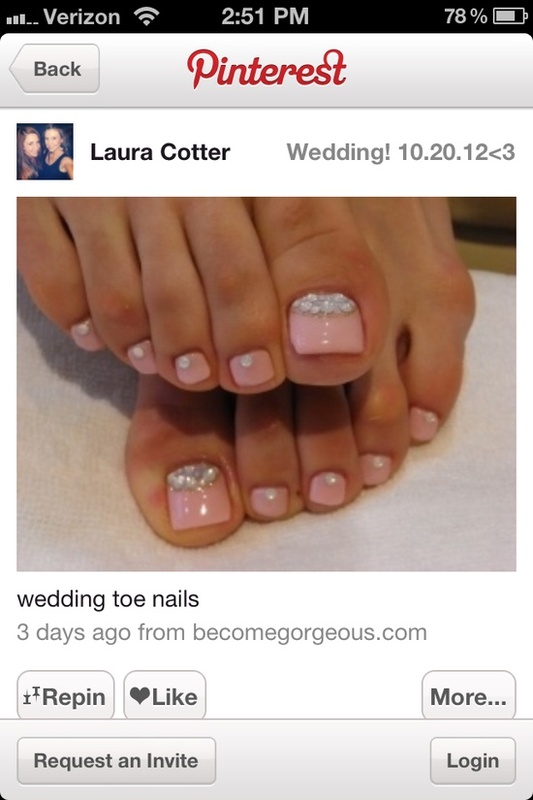 If you normally don’t get them done then do not do them for your wedding. Acrylics ruin your nails when the are applied and tear them apart even more when they are remove. Not to mention the fact that removing them is a long and tedious process unless your one of those people who just bite and pick them off in which case you definitely should not get them because biting and picking them off could actually crack your natural nail bed. OUCH! The Bridesmaids Nails: I am a very match oriented person which means I will want my bridesmaid to have the same color nails. This makes it nice for wedding photos especially ones where the hands are focused on like pictures of the bouquets, the hands behind the back, or a photo of everyone holding hands. 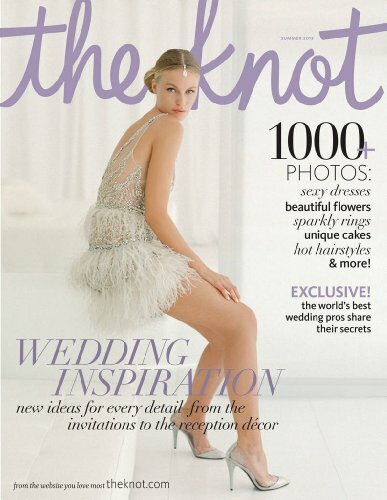 Look at any bridal magazine and you will notice how the best pictures are the ones that match the most. It’s a small detail you don’t think about or necessarily notice until you see that pictures afterwards and think to yourself ‘huh, something isn’t right’. It can even be something as simple as everyone getting a french manicure, maybe adding an accent nail. 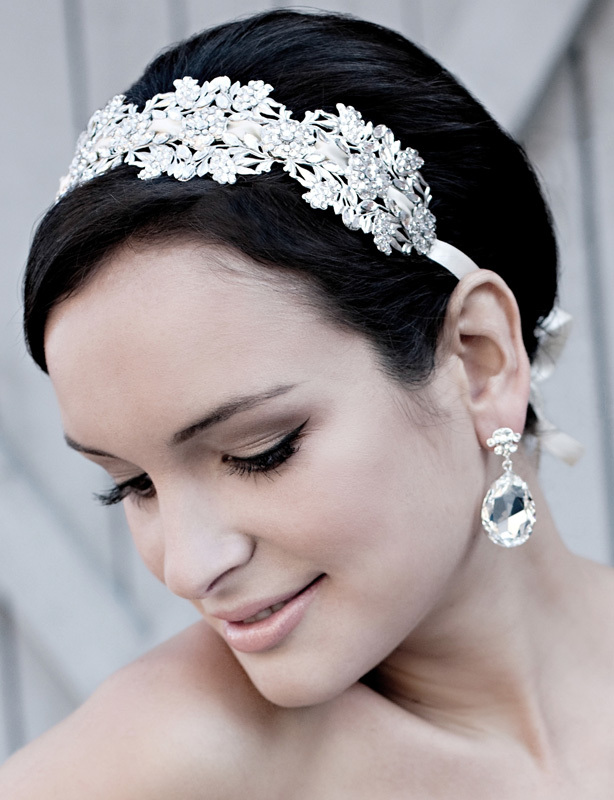 However, it can even be something elegant or intricate, it’s all up to you and what you want out of your wedding. Keeping in mind the dresses, you don’t want things to be too busy so make sure the two balance each other out. The Designs: Match the dress. If you have a dress with intricate beading or see through boning or hand sewn patterns keep the nails simple. The last thing you want is your nails showing up your dress. If you don’t like the idea of just have a stereotypical french manicure only change it a little bit. 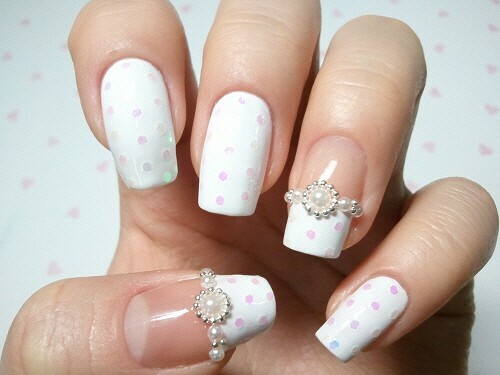 Add an accent nail or use an off white on the tips instead of a ivory. If you have more of a simple dress you can stick with the french or you can go all out. It’s okay to add a little color to your nails. If your wedding palette is peacock colors then think of adding a small amount of gold or blue somewhere. You can even use those colors to make the french instead of ivory. You can use gems or glitter whether you want to stay simple or wild. I think gems give a classic look but that’s just my opinion. Where To Get Ideas: There are so so many places to get ideas for your nails. Like I mentioned before look at bridal magazine, at all the pictures not just the ones focused on nails. Go to websites like The Knot or American Brides. Google ‘bridal nails’. There are people who make a living on writing blogs about nails I’m sure you can find something. Also, if you are looking for something intricate make sure you are showing the nail salon before you make the appointment that way you are sure they are able to do the designs. Not all places that do nails are able to do nail designs, although when you are watching them you do your thinking ‘that’s easy I can do that’ I promise you they only make it look easy. Below are some photos of natural and acrylic designs. 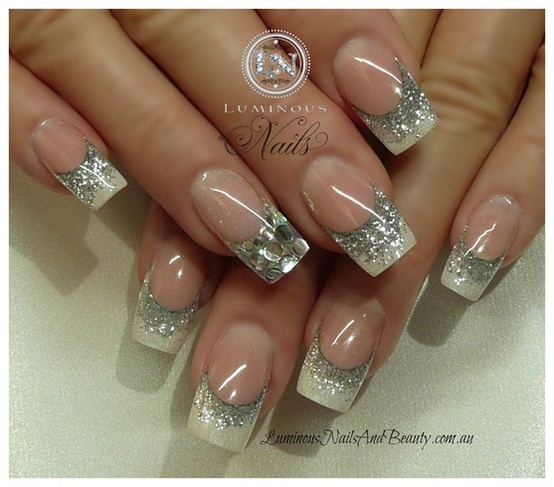 Acrylic designs can be done on natural nails. A lot of the reason people get acrylic or gel nails is for the length, so you have long nails or the ambition to grow yours out you can have the same look, especially when using a gel polish or a gel top coat. This needs to be part of the early planning. 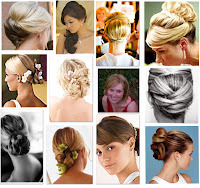 Salons tend to fill up fast around wedding season and remember you are probably going to have a large party which will be harder to accommodate. Spending time at a salon should not just on the day of the wedding but the day or even the week before as well. As a bride you want to look and feel beautiful from head to toe, this means finding the salon that will make you feel this way. 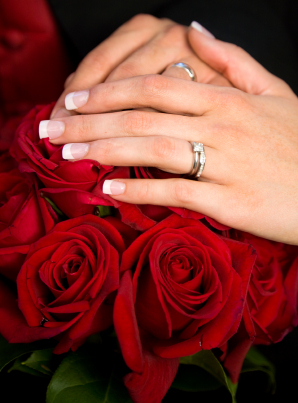 Choosing Your Salon: This is the most important day of your life so this should be a big part of your wedding budget. You will want to go to a salon with an inviting staff who are knowledgeable. 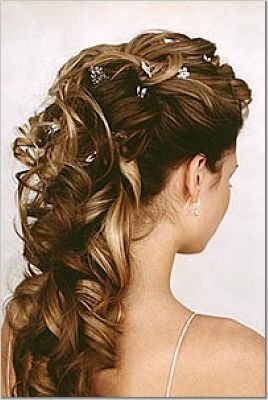 If your hair looks bad I promise you that you will FEEL like your whole wedding is ruined! Don’t go cheap. In life you get what you pay for so if you want hair you are HAPPY with and not just OK with then pay a little more. 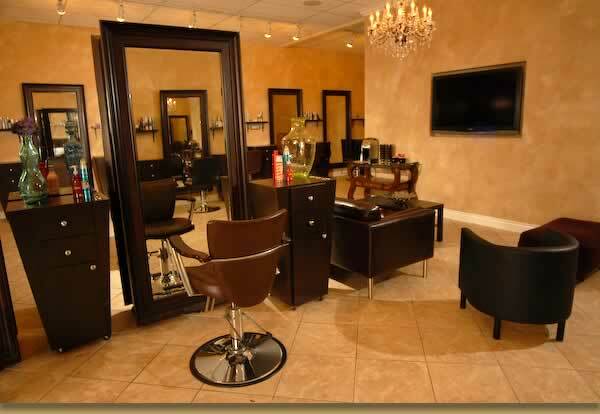 You will want to see the inside of the salon and make sure there is enough room is accommodate your wedding party. You don’t want to go to a salon where your party has to sit in the waiting area until it’s time to get their hair done. I suggest finding one who will allow you to bring wine or champagne, that’s only if that’s something you are looking to do. I know I am. The practice run is a great time to look through the salon and figure out if this is the place for you. You want to make sure not only your stylist listens to you but the other stylists in the salon who will be doing your bridesmaids listen to you as well. Stay away from reviews! Go to each salon and get an idea for yourself. Salons are competitive and unfortunately that means sometimes they will post false reviews just to make another salon look bad. Also, some reviews are based on stylists who no longer work in the salon. Websites such as Yelp, will actually flag four star reviews and remove them because there software determines they are fraudulent. Making The Step: After you choose your salon you will want to make the appointments as quickly as you can. Most salons will ask you to call at least two to three months in advance. Plus, a lot of places require a down payment that is non-refundable because they are having to mark off such a big chunk of time. This deposit may take a little bit to come up with so make sure you are giving yourself enough time to save. Write everything down and double check it with the receptionist. You don’t want to have conflicting times when the day arrives. Make sure they know a time you would like to be out of the salon by, the last thing you want is to be late to your own wedding. The Week Of The Wedding: As a bride this is going to be what feels like the most stressful week of your life and that stress will come out on your skin. You need to try to stay relaxed which is why I suggest as a bride you get a massage the week of your wedding. It will help you from pulling out your hair. If you plan that massage a little too late and the stress is already showing on your face I suggest you look into getting a HydraFacial. This works instantly so you leave with results and none of the back lashes like breaking out the next day like you may have with a European facial. The key this week is going to be to stay calm. If you want to change your hair color in any way I suggest you do it the week before that way you have time to change it if you don’t like it. I strongly strongly urge you never to color your hair the day of your wedding. Bad things happen, not because the stylist messed up in anyway but because sometimes things don’t look the same on us as they do in photos. Nothing ruins a wedding day quicker then bad hair! your hair if you can. This is the day I suggest you get your nails done. If your lucky the place you are getting your hair done will do nails as well. Crystal’s Spa in Ithaca, NY does. You will want to get a manicure and a pedicure. If you are not into acrylic nails, which I don’t recommend because they ruin your hair, then go with a gel polish. Today would be the day I suggest you get waxed,whatever it is you feel like waxing. Some places will suggest you do it a few days before but if you are like me and your eyebrows grow back in a week then the day before will work just fine. Day Of The Wedding: This one is pretty self explanatory. In the next couple of days I will go over in more specifics ideas for your hair, makeup, and nails. Again, don’t wash your hair this morning, dirty hair will help the style stay better especially if your looking for curls. Stay relaxed. This is your day. 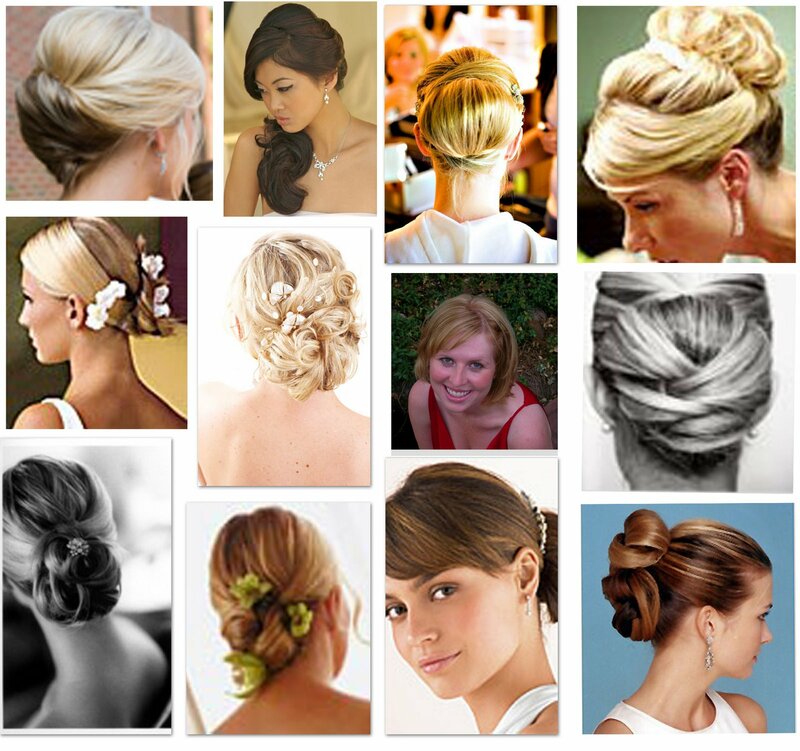 Tell the stylist up front what you are looking to do with the bridesmaids hair that way there is no confusion. Have someone there to take pictures. BRING FOOD!!! I know you want to squeeze into that wedding dress but not eating the morning of your wedding is such a bad idea. Bring little snacks so you can snack throughout the day after you have a breakfast with protein. No one wants to be the bride that passed out at the wedding. I know this part is supposed to come way later but let’s be real the first thing you’re going to want to do is find that dream dress, it’s the most exciting part when you get engaged. If you are anything like me you have an idea in your mind of what you want your dress to look like. What may not occur to you is there’s a lot more to finding a dress besides the fact it looks pretty. So you go out looking and you found your perfect dress…BUT… .it costs more then a down payment on a car. What Now?? 1.The Look: When it comes to choosing a dress we all have to keep in mind reality. Yes, the 6 foot model in the magazine looks perfect in that large princess gown but put it on someone like me who is 5 feet tall it’s going to look hideous. You really need to look into the type of dresses that suit your body type. Keep in mind, when I looked into dresses that fit my body type I looked at all the styles and hated them on paper but when I went to the store and put one of them on, WOW, I have never looked so good in a dress before. What dresses look like on paper and on your body are very very different. You want something flattering on your wedding day which means you may have to step out of your comfort zone a bit on try something on you never would have before. Petite Body: Stay away from those big ball gowns lean more towards a silhouette that slims your body. Find a dress with a waist line that starts above your natural waist, this will give you a lengthening effect. No big bows, no big anything, big things will only make you look smaller. Pear Shaped: Find a skirt that gradually flares out in an A formation from your natural waist to the floor, highlighting the narrowness of the midsection and floating away from the hips and thighs. Stick with fabrics that don’t cling. For the bodice, lean more towards V necks and thin straps this way you are highlighting your small upper frame. Larger Bust: You will want to even out your body so look for a full bottomed dress, “Princess” gowns would work perfect for you. Stay away from straight across tops they will only make your chest look bigger and shelf-like. Sweetheart bodices give just enough scoop that you show off a little but don’t give the cow away for free. Plus Size: Look for an Empire dress with a skirt that begins just under the bust and flows into a gradual floor-length A-line. Make sure the Empire seam does not start on the chest and that there is no pleating of the fabric. You don’t want the dress to be too loose because then it will add pounds. Celebrate your curves and show them off. Lean and Straight: The key to your dress is to create curves. You can do this by focusing on dresses with flared skirts, diagonal draping, and daring necklines. Look for something that clinches your natural waist and flares out, this will make it look like you have more curves. Apple Shaped: You’ll need a dress that cinches in at the smallest point on the waistline, then gradually flares out. Don’t have a bodice with a lot of texture to it―think ruche or lace detailing―that will camouflage and fit snugly, creating a corsetlike effect. The most slenderizing neckline for you is one with a deep V, which will draw eyes toward the vertical, not the horizontal. Hour Glass Shaped: Waist defining sashes and A-line gowns will shrink those hips and show off that shape everyone is dying to have. Stay away from things that focus too much on your hips, you don’t want people’s attention on those you want them on your waist. Tall: You will want everything to compliment your height, lower waist lines, floor sweeping hems. Stay away from too many bells and whistles, simple is the word for you. If you are going with long sleeves make sure it goes all the way to your wrist stay away from three quarter sleeves. dress and have that Cinderella wedding but I don’t want you to break the bank to do it. After the wedding normally comes things like buying a house and I know when you are coming up with that down payment you are probably going to look at that 3,000 dress in a box in your closet and regret spending that amount of money especially when it’s not necessary. First, there are so many used wedding dress shops around the area paying full price just seems silly. Second, if you are completely against wearing a used dress keep an eye out for a sale. You may have to drive to get the dress you want but a little gas could go a long way to saving you money on that dress. Third, stay away from the designers. I promise you can find a wedding dress that looks exactly like a designer dress. The only different between the two will be the price. No one is going to care five years from now who made your dress, and truthfully most people won’t even ask. Fourth, go to a regular department store. Some of the prom dresses today could easily pass for wedding dresses. No one will know and you will pay a fraction of the cost. 3. The Color: Contrary to popular belief your wedding dress does not have to be white. Speaking of white did you know how many types of white there are? I know the traditional wedding dress is ivory but we’re not a traditional society. Even the smallest color change can help compliment your skin tone. Keep in mind the season you are getting married in, that could effect the color of your dress. Dresses these days have flowers and ribbons and bows and trust me you can get them in almost any color you can think of. 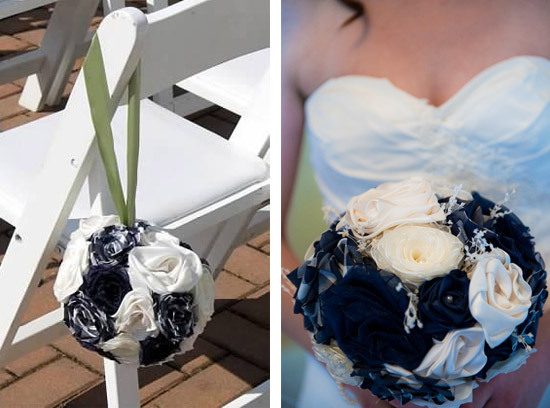 Yes, you can matchy matchy with your dress to your wedding colors but make sure you don’t go over board. Some brides today are going completely out of the box with their choice of dress which is great. I have seen brides in red, pink, even blue wedding dresses. None of those were a shade of white but every single bride looked stunning. This is your wedding, your day, so don’t let stereotypes and cliches determine how you are going to look and feel on your big day. dress is going to slide across that floor. Plus, heels change the look of a dress, it gives you more height,therefore giving your body a lengthening effect and making you look a bit slimmer so the reception pictures won’t look the way you wanted them too. There is nothing wrong with wearing flats. I was at a wedding where the bride wore white converse. No one knew because they were under her dress so it didn’t ruin any look, and she was happy and comfortable all night. Keep all this in mind when you are dressing your bridesmaids please, the same goes for them as it does for you. Don’t require six inch heels when you have people standing next to you who trip in a pair of flip-flops aka my sister. In today’s society most people have engagement photos, save the date photos, wedding photos. To me, the photographer is probably one of the most important parts of a wedding. No one will remember five years from now if the food didn’t taste right, but they will see the photos on your wall for years and years to come. Your photographer is the person in charge of capturing your memories so choose wisely. Engagement Photos: Not everyone can afford to have engagement photos done but I recommend trying to find the money somewhere in your budget. These photos can be used to announce the engagement but they can also be used on your save the date cards or the wedding invitations themselves. These are just beautiful to look at because you are newly engaged and filled with love and happiness and it shows in the photos. I know that’s something I want captured on film. I imagine they make nice reminders of the love people share when times get a little rough. The best part about engagement photos is you can do them where ever you want and wear whatever you want. This is such a fun experience because you and your significant other get to show people how comfortable you are with each other. Wedding Photos: Here’s the easy part. If you did engagement photos you should have made sure the same photographer could do your wedding. If you didn’t do engagement photos the steps to finding a photographer are the same. Make sure you photos aren’t only of you walking down the isle and the ones people pose to get the group shots. Get photos of getting your hair done, your makeup, the groom with the groomsmen getting ready, the silly moments before you walk down the isle. Get pictures of the cake, and food, and shoes, and decorations. Look around at other wedding photos to get some ideas of what you want. Don’t try to do the exact same photos you see on Pinterest because, first, they’re not original and second, they can never be created the exact same way and then are you just going to be disappointed and it’s not going to be the photographers fault but you will most likely blame them. Personal Choices: Remember I am writing this blog from Ithaca, NY so my personal choices may not help if you live out of state. For those of you living around the area I have two photographers that I love!! I can’t tell you which one I prefer more then the other because as photographers they bring two very different styles to the table. I know both the women personally and they are such genuinely sweet women. One of my favorite activities it looking through their websites just to see new photos. I have even convinced my boyfriend we need “couples” photos just so I have there artwork on my wall. These girls book up fast so if I were you I would call as soon as possible. I supplied you with their webpages and Facebook pages that way you can check them out and figure out which style works for you. The best part about your photographer is they follow you from engagement photos, to wedding photos, to maternity photos, to newborn photos, to family photos. The are going to feel like part of your life, watching and capturing every important milestone. I hear just as many people rant and rave about their photographers as I do about the pictures they take. I’m not going to lie this is probably one of the reasons I’m excited about getting engaged! Remember they are professionals so things always look better then if you did them yourself. Welcome to our 10 day wedding ‘what now?’ blog. 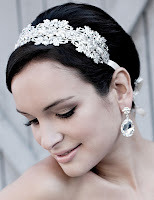 For the next ten days we are open I will be featuring everything I can think of to do with weddings and the next step. We all know how stressful they can be so hopefully this series of blogs will help you out a little, maybe teach you something you didn’t know. So he popped the question, now what? Before you start looking for that perfect dress and planning a wedding they’re a few things you may want to do first. I thought that this would be the easy part to getting engaged but truthfully there are things you have to do that probably didn’t even cross your mind. I am going to list these in order according to importance to me, you don’t have to do them in this order as long as you get all of them done. 1. Go and get a manicure. Your hands are about to be the center of attention everywhere you go. All your friends/family are going to want to see your ring and I’m sure you are going to want to take pictures to post on your social media page so the last thing you want is your nails to look like junk. Keep your manicure simple, don’t do bright colors or elaborate designs you want people focusing on garish nails. 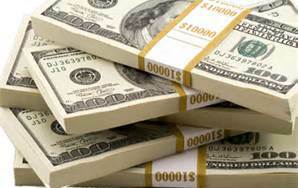 from the store you bought it from I’m talking about putting in under your home owner’s or renters insurance. I know may think this is pointless but the day your ring slips off your hand and you don’t have the money to replace it you will wish you had done something as simple as insuring it. 3.Tell the important people first! Go tell your parents and then tell close friends and family. Please don’t post it on your Facebook or Twitter and have people close to you find out that way. 4. Narrow down when you are getting married. Even though you just got engaged two minutes ago the first question people are going to ask is ‘when is the big day?’ I’m not saying set a specific date, I’m saying narrow it down. For example, the year, the month, or even the season you are looking to have the wedding. 5. 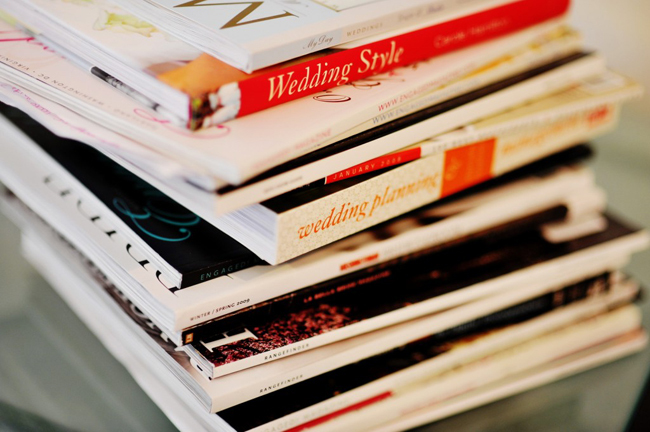 Buy some wedding magazines. They will help you so much and when you actually get to the planning part you won’t feel like your drowning with all the things you didn’t consider you would have to do. goes for the size of cake will you need. This small things determines so many large things. 7. Read number two again! If I know most people they will put this step off thinking other things are way more important. Well, there not. 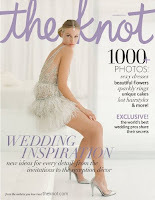 Go to The Knot for more information Insurance 101.
interviews with wedding coordinators. Weddings are a lot to plan and if you are planning on having a large one then a wedding coordinator is definitely worth spending a little extra money on. No one wants new wrinkles before their wedding because they are over stressed out. 9.Call around for a photographer. Not everyone can afford engagement photos and that’s okay but if you have a little extra engagement photos are amazing! They’re going to be needed if you plan on having pictures on your Save The Date cards. 10. Just stop and relax. I know this is all over whelming so just relax. You will have plenty of time to panic and freak out later but for now take a breather. Enjoy your first week or so of being engaged. While your getting your manicure done add in a pedicure as well, maybe even a massage. This is a great time in your life so enjoy it. I know after reading this you may have more questions then answers but if you keep reading the next nine blogs they will hit more and more on these subjects. Being a bride is a big deal and there is so much to do before you actually get to walk down that isle. However, if you are from around the Ithaca area in my blogs I will be mentioning specific places and people I suggest to use when it comes to that big day. First, this is probably one of the few places on your body that the sun can’t cause cancer. You also can’t get a sunburn on your hair. Note, you can get it on your scalp so don’t think your head is too safe. Being out in the sun for too long can cause your hair to become weak, dry, brittle, resulting in an intense amount of split ends. I bet your sitting there thinking ‘that’s why my hair still feels unhealthy even though I use the right products and have proper hair care’. If you know you are going to be out in the sun for a long time invest in a large brimmed hat. People who lighten or bleach their hair are more susceptible to sun damage. That’s not saying people who don’t dye their hair aren’t effected it just means they are affected less. If you are a natural brunette being out in the sun for extended periods of time can actually bring out a red hue to your hair. As for blondes, too much sun can cause it to turn a yellow color. 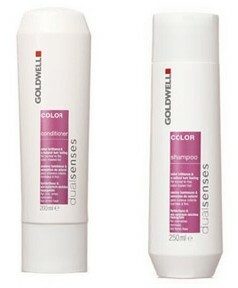 If you color your hair, no matter what color, sunlight will make your color dull and fade quicker. 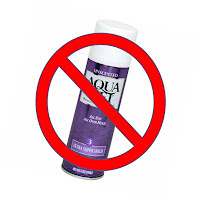 Please, please, please do not use products like Sun-In or spray your hair with anything containing alcohol, peroxide, lemon juice. Yes, I know it’s an inexpensive way to lighten your hair in the summer but it’s also an inexpensive way to damage and fry your hair that will be expensive to fix. 2. Wet your hair with water before you get in a pool so your hair doesn’t absorb as much chlorine. 3. Rinse your hair with luke warm water after swimming in a pool or salt water. 4.Get a hat. Maybe not everyone is a fanatic about large brimmed hats as I am but you still need to get some sort of hat. 5. 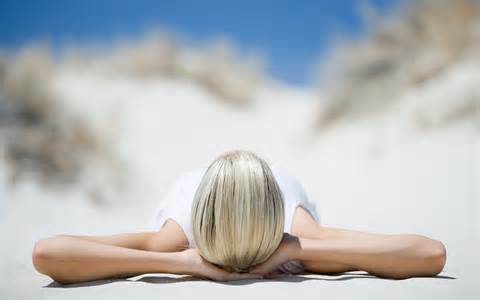 Try not to leave your hair exposed to the sun for prolonged periods of time. 6. Be vigilant about protecting your hair by making sure you are protecting it year round that way when the summer comes it has some defense built up. I know it was supposed to be a week about the sun but after spending most of my morning staring out the window at the dark sky and rain clouds I decided to change it up a little. After scanning through my social media I noticed a number of people complaining about their hair being ‘big’ due the weather. What did this mean to me? It means I am going to tell you things to do to tame your hair on high humidity rainy days. 🙂 I know, I know, you don’t have to say it, this is exactly what you needed on a day like today 🙂 I can’t promise all of these will work and nothing controls 100% frizz. 1.The first thing I will tell you is not to run your hands through your hair. I know it’s hard not to but the moment you run your hands from the roots to the ends you are fluffing up your hair cuticle which is making it look frizzy. It’s very simple to fluff the cuticles in your hair. Something as thoughtless as pushing your bangs out of your eyes, taking your sunglasses on and off your head, or taking a hat on and off. -There is an exception to this rule. You are allowed to run your hands through your hair if you have product in them like a serum or conditioner. 2. Handle your hair as little as you can. When you get out of the shower pat it dry, do not roughly dry your hair that is only going to [again] rough up your cuticle. Brush it, then throw conditioner or an anit-frizz serum in it. I know you will want to scrunch your hair when you are putting in the serum but don’t do it a lot. STOP TOUCHING AFTER THAT. 3. Do not brush your hair while it is dry. 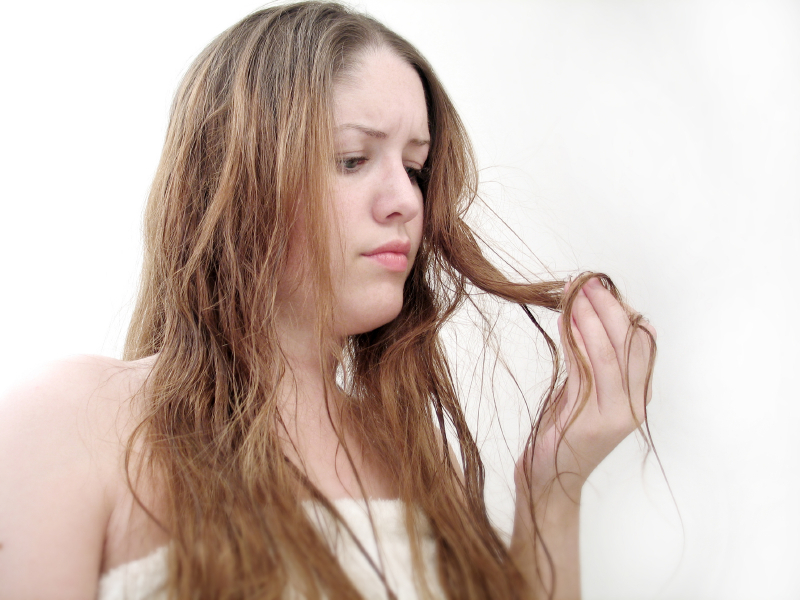 If you feel the need to brush it wet down your fingers and untangle your hair that way. Making sure to stay closer to the ends. Even use conditioner on your finger tips if you have it handy. 5.Stay away from synthetic oils. Yes, please use oils in your hair but only use natural ones such as Argan Oil. Natural oils help not just with frizz; they can also tame static, flyaways, and split ends while giving your hair a natural shine. Oils are only meant to be used at the ends of your hair so stay away from the roots, unless you want your hair to look greasy, and use the oil sparingly. A little bit of oil goes a long way. 6. Put your hair in AA. There is no need to put Alcohol in your hair. A majority of drug store products contain alcohol and other preservatives because they need to last longer on the shelf and they’re cheaper. Switching to products that don’t contain alcohol might be a little harder on your wallet, but your hair will love you for it. 7.Try to relax on the hot tools. I know there are so many new and exciting ones out there that calm to be good for you hair but at the end of the day too much is never a good thing. 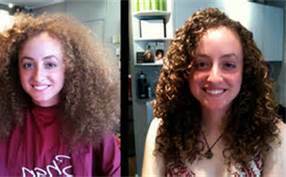 Yes, it’s true that some have the ability to be turned down but you have to remember, especially if you have really curly hair, that means you are having to go over the hair more than you normally would so most of the product is being burned off and that heat is able to affect your natural hair. 8. It your addiction to hot tools and perfect hair can’t be curved, then please, use a thermal setting spray. Product makes all the difference in whether or not you fry your hair and cause split ends. Split ends mean more frizz. When blow drying it use a round brush instead of letting it fly everywhere. 9. Make sure you are reading the product labels and descriptions. Some products only last 2-3 hours. That doesn’t give you a lot of time in high humidity with nice hair. 9. FOR MY CURLY GIRLS: First, seriously look into and invest in the DevaCurl line of products. They are made for natural curly hair and work wonders. Second, when you wash your hair try using conditioner instead of shampoo. Before you think it, no this will not make your hair greasy because you are rinsing it out and then putting on the conditioner you should be leaving in all day.